Who’s in Charge of Your Company’s Fixed Assets? Fixed asset depreciation is an art and a science which many public accountants and experienced business managers consider integral to both accurate financial reporting and business planning. In fact, fixed asset planning should be considered part of your overall strategic plan, not just a function of the accounting office. Is the data current? 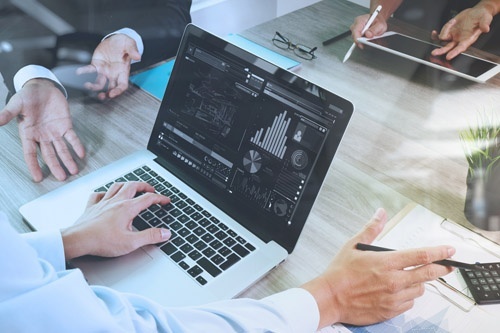 Many companies begin strategic planning around fixed assets with the best of intentions, but as they build or add to their assets, they neglect to update the data on file. A good ERP system that tracks assets or integrates with an asset accounting system can help you keep accurate records of all fixed assets. These systems can help you document fixed assets easily. Who can access it? To accurately plan a strategy around your fixed assets, you’ve got to have accurate data on the status of land, equipment and other assets. If this data exists in one system, make sure that the person responsible for fixed asset planning can easily access the system. What will you do with it? Good data collection methods often begin with the end in mind. Knowing how you plan to use the data you collect before you begin the process helps you focus on the important data elements to track and maintain. If fixed asset data will be used solely for accounting and tax preparation, make sure that the data is clean, accurate and timely, and can be easily shared with your accounting department or outside auditors. If you will also use the data for strategic planning purposes, make sure that those who can access and use the data know how to interpret the financial implications of fixed assets correctly. Companies are growing, expanding and changing all the time. As your company changes, so too will its fixed assets. Asset tracking software and an end goal in mind, you can make the job easier. The resulting data can then be used to guide your company on to future success. For more information about asset management software, enterprise resource planning software and other productivity solutions, contact BAASS Business Solutions. We offer expert insights that can help you achieve your business goals. Contact us at 1-866-260-5302. 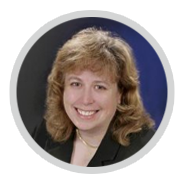 Jennifer is an 18-year veteran of the Sage 300 ERP financial system. She has worked with a wide variety of organizations in the distribution, manufacturing, services, and non-profit sectors. Her attention to detail and organized nature enables her to develop a deep understanding of each client's business requirements. Jennifer is certified in Sage 300 ERP and Sage CRM, and has extensive experience with numerous add-on modules that integrate with Sage 300 ERP systems. A graduate of Sage University for Project Management and Consulting Academy she utilizes these proven methodologies on a daily basis as she engages with clients.